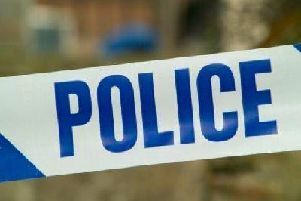 A 14-year-old boy was left with a broken eye socket after being assaulted in broad daylight in a Banbury park. At around 3.45pm last Saturday (March 16), there was an altercation between two boys in Chandos Close Park in the town. During the altercation, one of the boys received a serious injury to his eye. The victim was taken to the Horton General Hospital where he was treated for a fractured right eye socket, damage to teeth and bruising. He has since been discharged. Another 14-year-old boy, from Banbury, has been arrested on suspicion of assault occasioning actual bodily harm and has been released under investigation. Investigating officer Detective Constable Gareth Steward, of Banbury CID, said: “This incident occurred in broad daylight in a public park on a Saturday afternoon. “I am appealing for anyone that was there and witnessed what happened to come forward and contact police. “I believe that a number of people may have filmed the incident on their mobile phones, and so I am appealing for anybody who has any footage of what happened to contact us. “Please call the 24-hour non-emergency number 101, quoting reference 43190081022 or alternatively, you can call Crimestoppers anonymously on 0800 555 111.